Daisy’s expertise in the hospitality and spa industry has been notably recognized for more than 20 years. 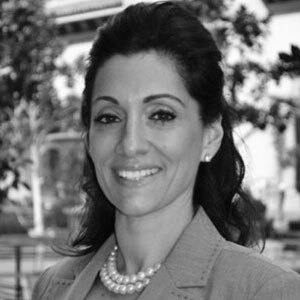 Working in prestigious properties such as The Peninsula Hotel Beverly Hills, Four Seasons Hotels and Resorts and Montage Hotels, she has held positions as Director of Spa, Regional Director of Spas and Consultant. She has directed individual teams as well as regional teams, developing spas from conception to opening, hiring and training, implementing policies and procedures, creating spa treatment menus, product sourcing, marketing and troubleshooting. Her skills, creative ideas and knowledge have developed many successful operations, generating healthy revenues and positive guest reviews. Daisy’s areas of expertise includes: Competive analysis, Spa concept & design, Spa treatment menu, product sourcing (retail and professional), P&L, training manuals, hiring and training of staff, Uniforms, OS&E, marketing, set up of spa/retail and staff support. Daisy brings a wealth of information and proven expertise to any project or existing spa/retail hotel opportunity.